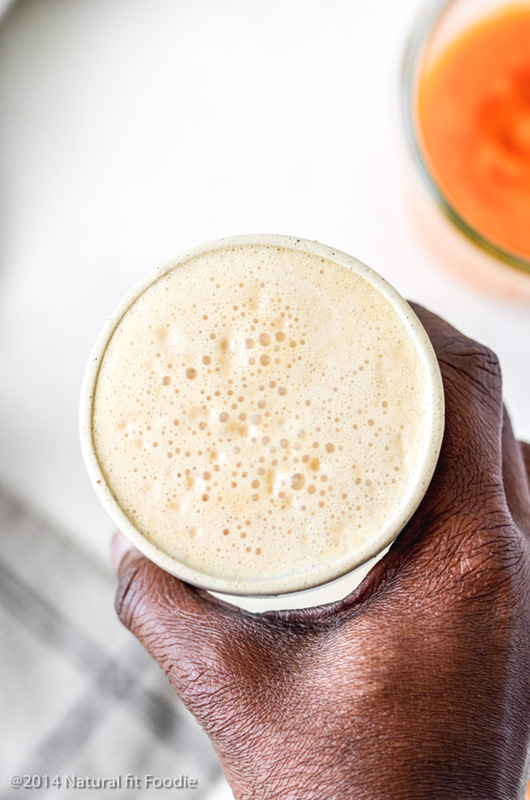 A different kind of pumpkin spice latte made with real pumpkin, healthy fats and homemade pumpkin spice mix. This pumpkin spice latte is real food at its best! My dearest readers I need your help! Please tell me why is the whole world obsessed with pumpkin during fall? Maybe it’s just me but it seems once September rolls around everyone gets pumpkin fever. First up in the never ending list of pumpkin recipes flooding my social media feeds is the ever famous Starbucks Pumpkin Spice Latte. I have never had a Starbucks Pumpkin Spice Latte.. GASP!!! However with lots of help from my buddies Pinterest and Google I have been schooled on all things pumpkin spice latte. There is no shortage of Starbucks Pumpkin Spice Latte copycat recipes online so why am I posting yet another? Well as you may or may not know the pumpkin spice latte you can buy at your coffee shop usually does not really contain any pumpkin. I once had a Starbucks chai latte and it was nothing but disappointing to say the least. A stiflingly sweet hot beverage with a touch of spices, a pure sugar bomb. I imagine the Starbucks Pumpkin Spice Latte to be no different but if I’m off here please feel free to correct me. A few of my real food blogger friends have been brave enough to create pumpkin spice lattes with actual pumpkin in it and I applaud them. I am going one step further by adding a few more superfoods like coconut oil & collagen peptides. I am not a huge coffee drinker, I have always said that I much prefer tea but since I first added coconut oil to my coffee, I almost never drink coffee without it. So here it is my friends Natural Fit Foodie’s version of a pumpkin spice latte – with real pumpkin and my DIY pumpkin spice mix. How do you make a Pumpkin Spice Latte at home? Place all the ingredients except (optional) coffee and pumpkin puree in a small saucepan and heat through until milk just begins to bubble. 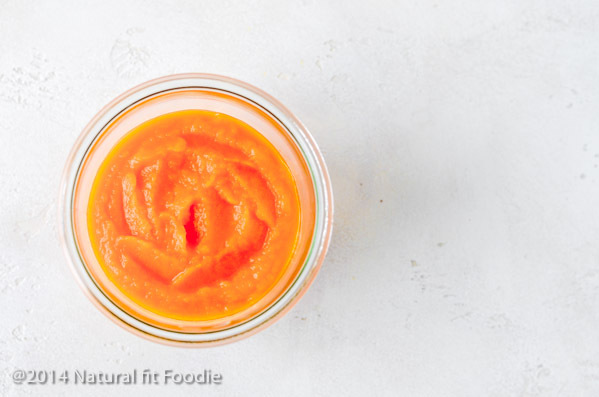 Pour into blender and add pumpkin puree. Process until frothy. Pour into coffee cup. Brew your espresso shot directly into the coffee cup. 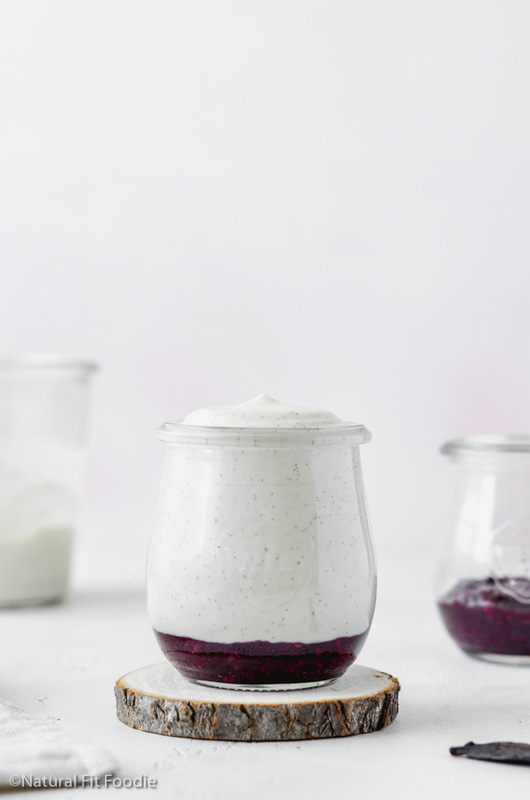 You may add whipped cream to the top but I find that the coconut oil adds enough creaminess. This Pumpkin Spice Latte is absolutely perfect during the luteal phase (the week before your period) of your menstrual cycle. As you know I always recommend warming foods during the luteal phase to ensure peaceful cramp free menses. Pumpkin is also rich in B vitamins, magnesium and potassium which your body craves at that time. I sure hope you’ll try my version of the Pumpkin Spice Latte and remember if you do, come back and let me know your thoughts in the comment section! 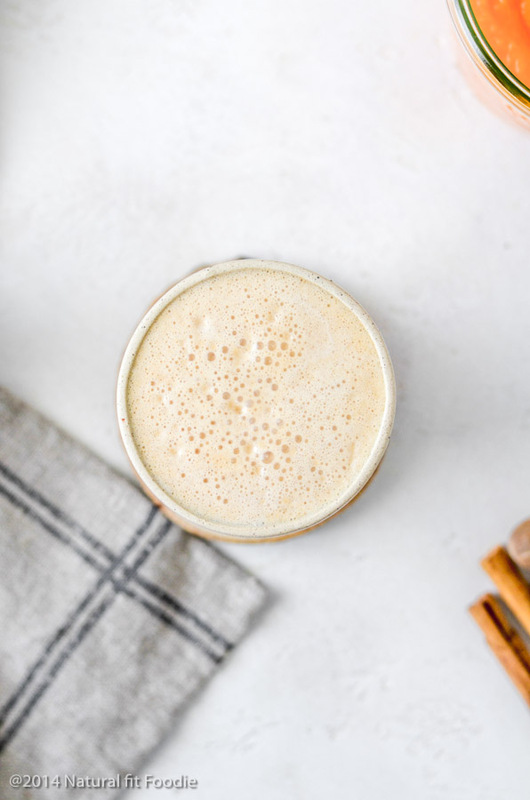 A delicious warming pumpkin spice latte made with coconut oil, real pumpkin and homemade pumpkin spice mix. This pumpkin spice latte is real food at its best! Place all the ingredients except coffee and pumpkin puree in a small saucepan and heat through until milk just begins to bubble. Brew your espresso shot directly into the coffee cup. It was so great to find your page on Gluten Free Fridays this week! I’ve never had an infamous PSL either. However, your drink sounds delicious and I love that you made it at home. I can’t explain the whole pumpkin thing to you because I’m still over here celebrating apple season. This is probably the last week that I’ll pick fresh apples, but I love them! Hope you have a fabulous weekend! I just made this, OMG it’s so yummy!Move over Starbucks! Yes. I need this. 😉 Thank so much for sharing it at Savoring Saturdays! I’m going to feature it at this weekend’s party – hope to see you there! Yes PLEASE! 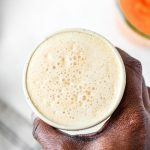 I’m a big PSL fan, and I love that you have given it a paleo vegan makeover. I love the coconut oil addition too, make it nice and creamy! I’m featuring your on Savoring Saturdaysthis weekend. Thanks for always bringing such yummy recipes to the party! Thanks Brianna! It’s so rich and creamy you won’t believe it, yumm yummy. Have a great weekend! 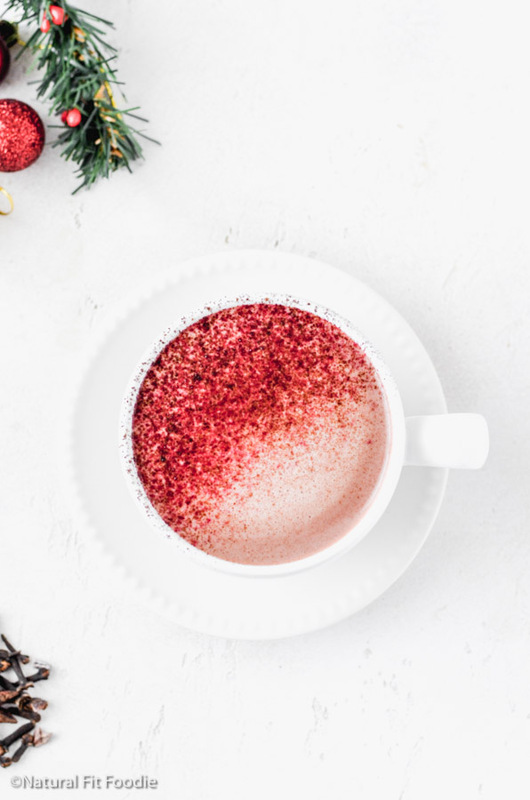 This hot, spicy, frothy beverage is sooo good, it could become habit-forming so thank you so much for sharing your delectable Paleo Vegan Pumpkin Spice Latte at the Healthy Happy Green and Natural Party Blog Hop. I’m so delighted that you are partying with us! 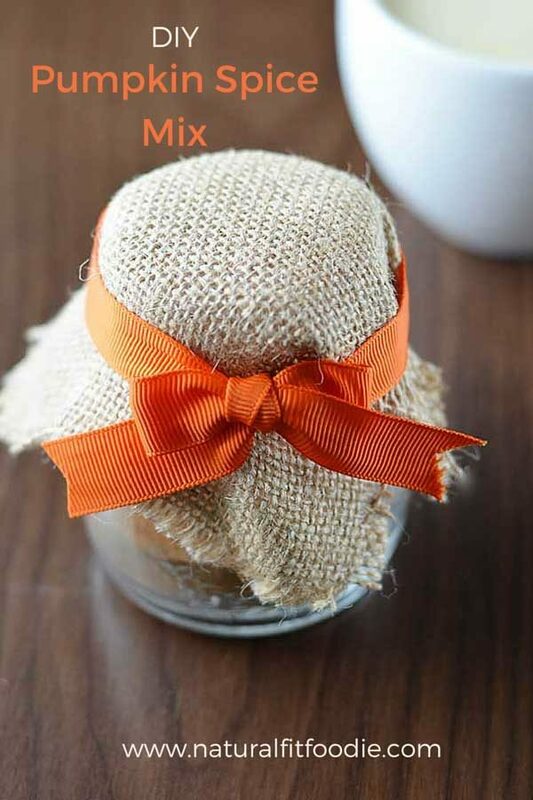 I’m pinning and sharing this awesome recipe. 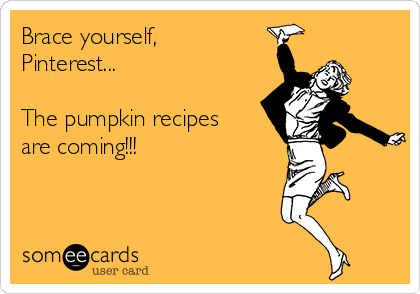 I’m also loving your Pumpkin Pinterest Board! Thank you Deborah! Tiss the season for all things pumpkin! Sounds good. Love how the pumpkin comes out so frothy once you put it in the blender! Yes the blender does a bit of magic , love it as well!